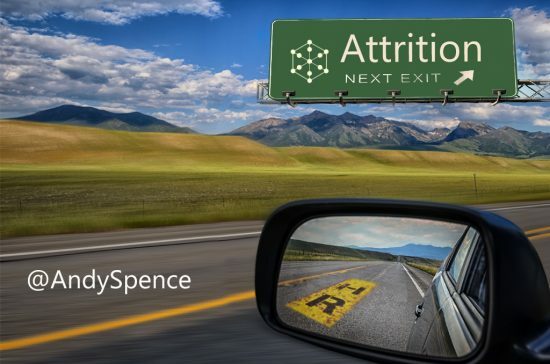 Managing Attrition – Are You Looking Backwards or Forwards? How do you manage attrition? Most companies will review last month’s attrition figures, long after the star employees have had their farewell leaving do. This is the equivalent to looking behind in the rear-view mirror, whilst travelling at speed – you may know what’s behind you but it’s too late to do anything about it. Or do you look forward, anticipating trends of employee flight risk and making small adjustments as you travel down the road? After all, if you can see the possible obstacle ahead you have a better chance to avoid it. As wages continue to rise, we see more employees dipping their toes in the welcoming water of the job market. Keeping our best employees with us on our journey is going to be hard and managing the cost of unwanted employee turnover is going to be even harder. So how do we quantify the cost of losing our best employee? The calculation for the cost of losing an employee varies from one organisation to another, but typically includes hiring, on-boarding, training and ramp-up time to peak productivity. Other costs that need to be factored are loss of morale due to high turnover, higher business error rates, and a possible impact on a company’s culture and customer reputation. Deloitte estimate the cost of losing an employee can range up to two times the employee’s annual salary. Given the significant financial impact, it is surprising that 40.7% of UK organisations do not measure the cost of attrition, according to XpertHR. Do you have a good idea of what your attrition levels will be over the next few quarters? Do you calculate the probability and the impact of losing an employee? Do you know the actual cost of attrition in your business? Can you prove which factors cause unwanted attrition in your organisation? Do you know which interventions are more likely to keep the higher performers (the five great programmers) and let the laggards leave? Many HR teams measure who has left the company in the last period, in which division, and what type of role as a way of broadly measuring attrition. However, looking in the rear-view mirror only describes what’s behind us, it doesn’t tell us what is coming up, which makes it harder to prepare for unexpected change. By the time we have realised it is too late. What we really need is to manage attrition more proactively by understanding who is more likely to leave and what the impact of them leaving would be on the business. In a smallish company this is straightforward, but where you have larger teams, spans of control and distributed teams this becomes much more difficult. Credit Suisse found that a one-point reduction in regretted attrition saved the bank $75 million to $100 million a year. 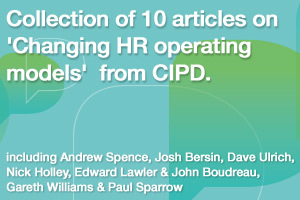 So building an attrition prediction model is one way for HR to make a substantial impact on the bottom-line. See “The Algorithm that tells the boss who might quit”. Using an evidence-based approach, we need to critically assess different sources of evidence. Building your own predictive model is one way of building up a reasonably strong source of organisational evidence. It is also worth reviewing the scientific research as another source of evidence, see this meta-analysis for example and reference below. The attrition landscape needs to be revisited if organisations are to remain competitive as they make their respective journeys. Predictive analytics can be a step change for the HR community, at the very least providing some useful dashboard controls to enable better decision making. I hope this article has given you some useful ideas and maybe some inspiration. As always I would be interested in hearing about your examples using predictive analytics to better manage retention and attrition. In response to our clients’ request to provide this service, are delighted to announce that we have launched a new service “Managing Attrition using Predictive Analytics”. This entry was posted on Tuesday, March 14th, 2017 at 3:19 pm	and is filed under Employee Engagement, HR Business Partner, HR News, HR Operating Models, HR Strategy, HR Technology, HR Tools, HR Transformation, Owen Analytics, People Analytics, Predictive Analytics, Productivity, Quantified Workplace. You can follow any responses to this entry through the RSS 2.0 feed. You can trackback from your own site.